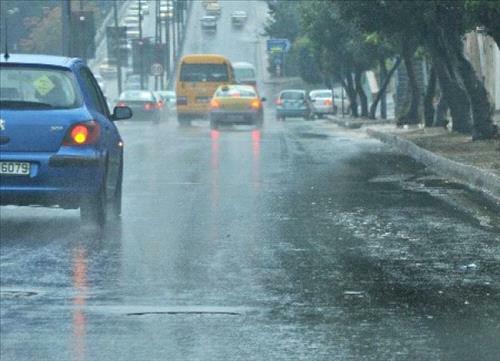 AMMONNEWS - The Kingdom will be affected on Sunday by a cold and wet air mass, accompanied by a depression, pushing temperatures down becoming below their annual average and creating relatively cold and cloudy skies, according the Jordan Meteorological Department (JMD). Rainfall is also forecast in many parts of the Kingdom, including Aqaba, that may turn heavy accompanied by thunder and hail at times and cause floods in valleys, lowlands and water- accumulation areas, while winds will be northwesterly moderate to brisk with strong gusts reaching 40-50 kilometers per hour, blowing dust in the desert areas, the JMD said. Fog formation is also expected at night over the hilly areas, while winds will be northwesterly brisk with strong gusts reaching 50-60 k/h, it noted. The weather will start to stabilize on Tuesday as mercury levels will rise again, but they will remain below their seasonal average. Therefore, it will remain cold in many regions, while it will be fair in the Dead Sea and the Jordan Valley with low clouds in the nothern and central areas. Winds will be northwesterly brisk, blowing dust, the department further said. The JMD warns against low horizontal visibility in the early morning hours due to the formation of fog over the highlands as well as dust mainly in the desert areas. Daytime temperatures expected for today in Amman and the northern cities will hover around 16 degrees Celsius, and 13 in the southern governorates, dropping down at night to 6, 5 and 2 respectively. The weather will be warmer in the port city of Aqaba with highs reaching 25 degrees Celsius and lows standing at 13, the JMD explained.